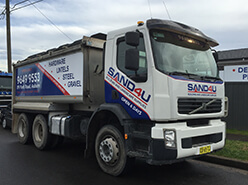 Servicing the Civil, Construction, and Landscape Industries, Trades including: Bricklayers, Tilers, Renderers, Plumbers, Drainers, Roofers, Concreters, Landscapers, DIY Renovators of general public simply wanting something for the home… SAND4U has got it covered. 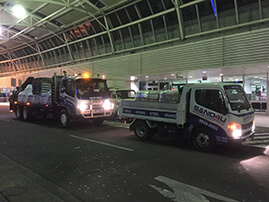 Open 6 days a week our friendly staff are ready to assist with your pick up requirements. 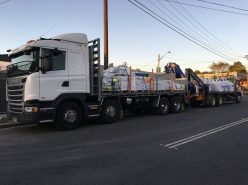 If you need advice or a quote for your next project, Drop in and meet the team and we will gladly cater to your needs or simply email or give us a call. Trucks are tracked via GPS Satellite tracking so we know where your load is at any point in time. 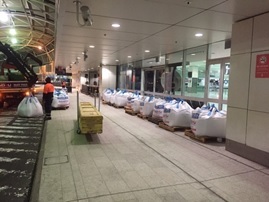 We specialise in delivery of materials anywhere, anytime 24hours 7 days a week to Sydney metro sites. 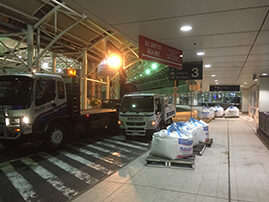 Whether you require materials to a shopping centre after closing hours or major road project, we can make it happen. 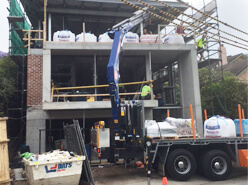 We service many shop fit-out companies, civil contractors and emergency response companies. Perfect for Narrow access our small trucks are 1980mm wide and 2100mm high. 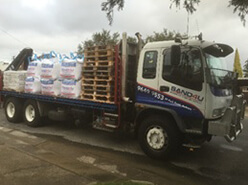 We can get your materials down the tightest of driveways. 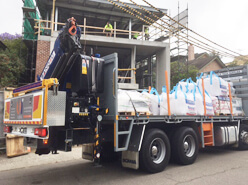 Specialised for Multi residential and limited space sites our rear mount crane truck can get your Bulk Bagged material to the first floor or into site where access is not available by driveway. 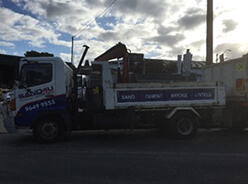 Capable of lifting 1.1 tonne at a 7m reach a versatile solution when tipping loose sand onsite is not an option. 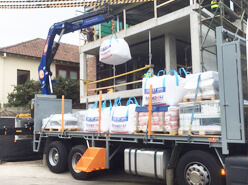 Specialised for sites where materials need to get past the first floor Capable of lifting 1.5 tonne at 13.8m reach, can be a cheaper alternative to booking a City or Franna crane. Also available for hourly hire on request. 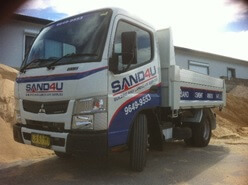 Fitted with swinging tailgate door, can deliver a pallet of cement and 13 tonne of sand in one trip. Delivering direct from quarry to large scale civil, landscape and construction projects as well as residential sites. 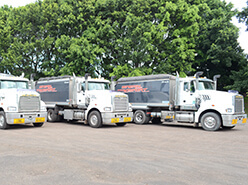 Enabling efficient delivery of bulk quarry materials at competitive rates for your major project.